If you want to get the most out of your grout, you always need to select the right product for the right job. At The Grout Medic, we specialize in helping customers choose the ideal product that will give them the best results. There are two basic types of grout to choose from. There is unsanded (sometimes referred to as non-sanded), and then there is sanded. We’ll break down the right opportunities to use either type. As a general rule, unsanded grout is what you need to fill lines no more than ⅛” wide. Because it shrinks more during the curing process than sanded grout, unsanded grout has a greater chance of pulling away from tile when the lines are too big. 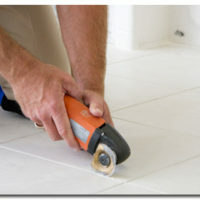 Unsanded usually is the grout of choice for shower, wall, and other vertical jobs. It’s a little stickier and easier to use in these situations. As you spread it onto a vertical space, it will stay in place as you try to guide it into the lines. When you have a line ⅛” or bigger, you should go with sanded grout. If it’s close to the minimum width and you’re not sure which type to go with, go with sanded to guard against the potential for over shrinkage. Why is it called “sanded” grout? To prevent extreme shrinkage during the curing process, this type of grout has sand added to it. This makes it perfect for larger grout lines. The only exception could be if you have polished stone tiles. In this special case, the sanded grout could scratch your tiles. To avoid this, you can test your grout on a tiny part of your stone tiles, or you can just go ahead and use an epoxy grout substitute. 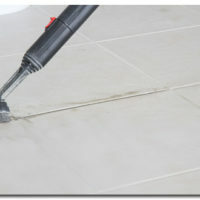 Grout Medic experts can help you choose the right grout and use the right maintenance and cleaning techniques. With our help you’ll be enjoying years of worry free life out of your grout.